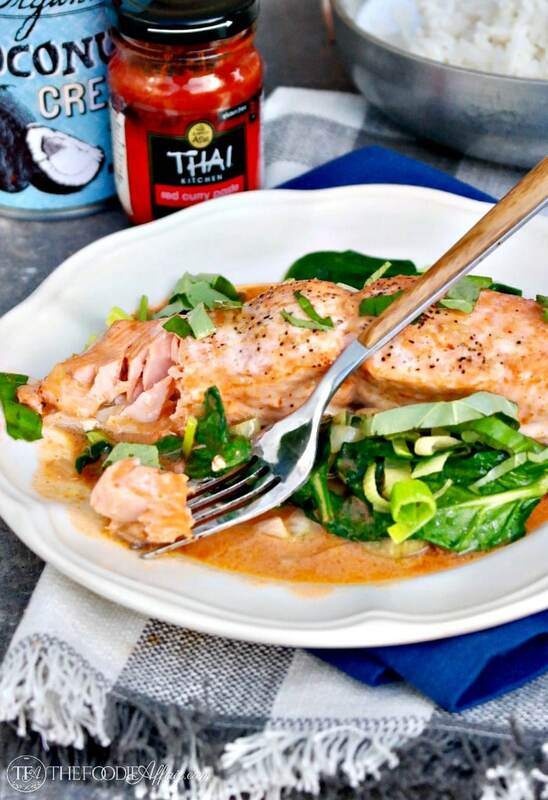 Baked wild caught Salmon Coconut Red Curry Sauce over a bed of sautéed spinach. 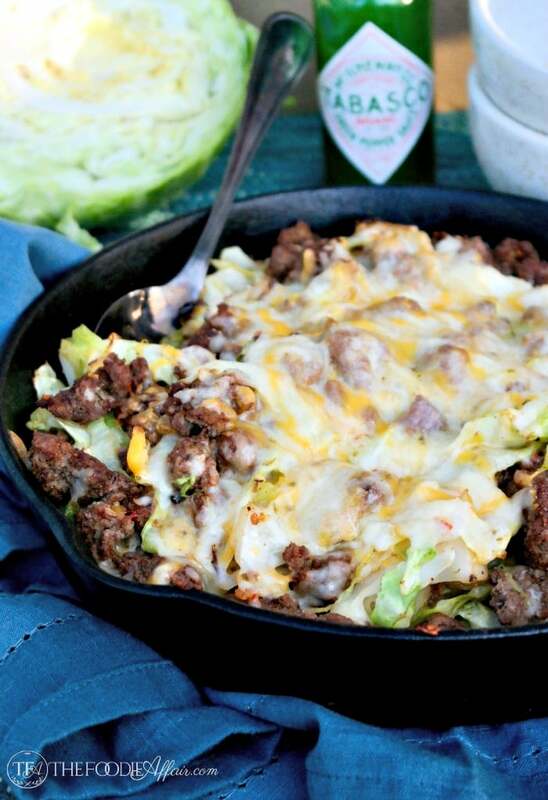 This dish is packed with protein and healthy fats that will keep you satisfied for hours. The sauce in this dish is amazing! Super flavorful and whips up in no time! In fact, you may be tempted to slurp up the sauce with a spoon! While it may be true that I spent a small foodie fortune on salmon this past weekend ($28/pound), I couldn’t help myself, and I bet you wouldn’t be able to resist either! When you want fresh fish go straight to the source, a local fish market! 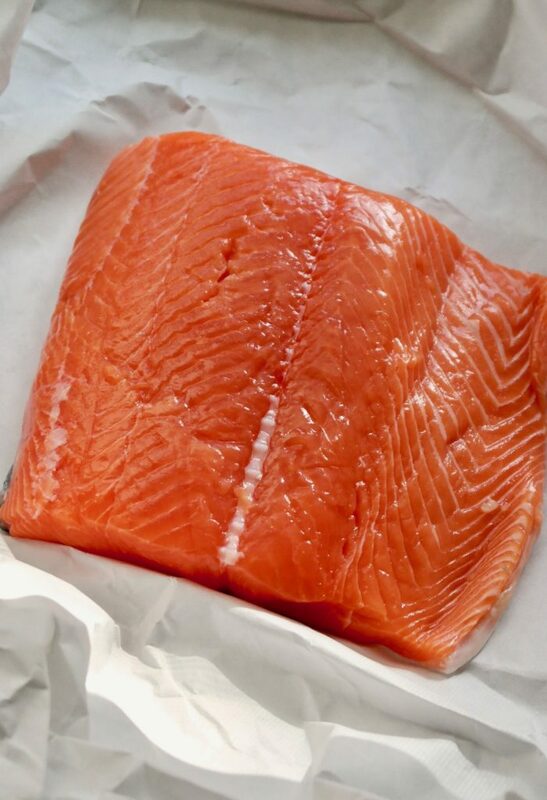 Just look at this beautiful piece of salmon! We live in Monterey, CA where seafood is a fresh as it gets, so it would be a shame to pick up fish from a national grocery store when we have access to wild caught local salmon! Look for FRESH, not farmed if possible. Natural vs. produced is what you need to keep in mind. Wild Alaskan is one of the most eco-friendly salmon, even canned or frozen are great choices. Salmon should be bright with a pink hue, not gray or dull. Don’t buy fish that has a “fishy” smell. Smelly fish is old seafood. Pass on it. Inspect the salmon for any discolorations. If you see white spots, then the fish is likely to have expired. 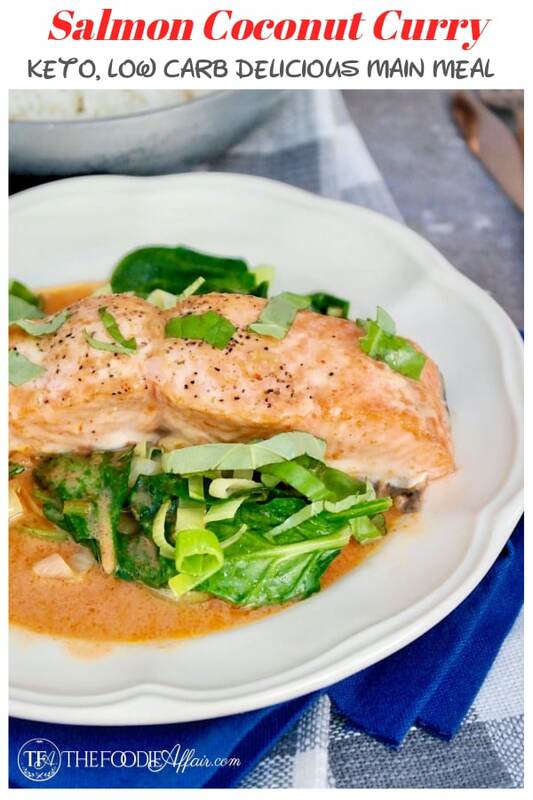 Once you find your salmon this meal comes together quickly, so if you want a side dish, then made that right away too. Coat both sides of salmon with olive oil. Place skin side on prepared baking sheet. Bake for 20 minutes. In a small saucepan over medium heat combine the coconut cream, curry paste, fish sauce, and ginger. Heat until combined. In a separate large skillet over medium heat melt butter. Add leek and saute, then add spinach and cook until tender. Enjoy with a side of Easy Cauliflower Fried Rice or you might be interested in How to Make Sticky Rice for your side. Preheat oven to 350 degrees. Line baking sheet with foil or parchment paper and set aside. Coat both sides of salmon with olive oil. Season with salt and pepper. Place skin side on prepared baking sheet. Bake for 20 minutes. In a small saucepan over medium heat combine the coconut cream, curry paste, fish sauce, and ginger. Heat until combined. Add salt and pepper to taste. In a large skillet over medium heat melt butter. Add leek and saute for 1-2 minutes. Add spinach and saute until desired consistency (about 1 minute). 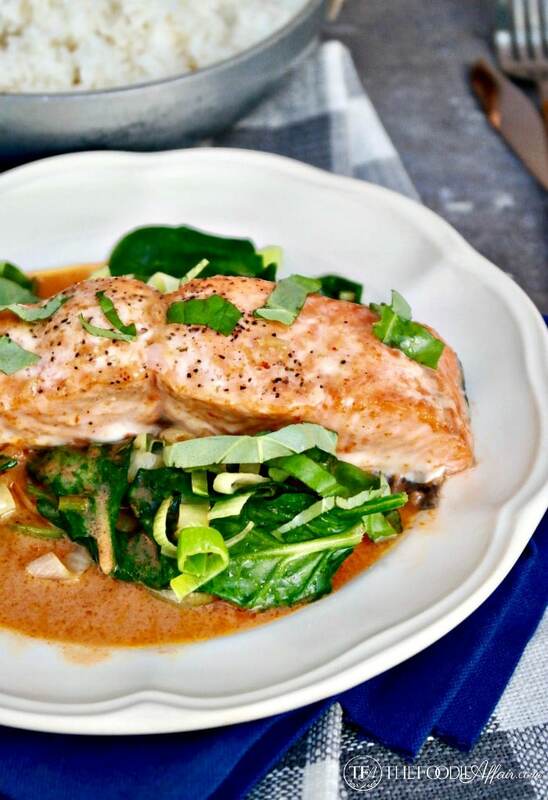 To serve place salmon over spinach and top with curry sauce. Garnish with sliced basil. 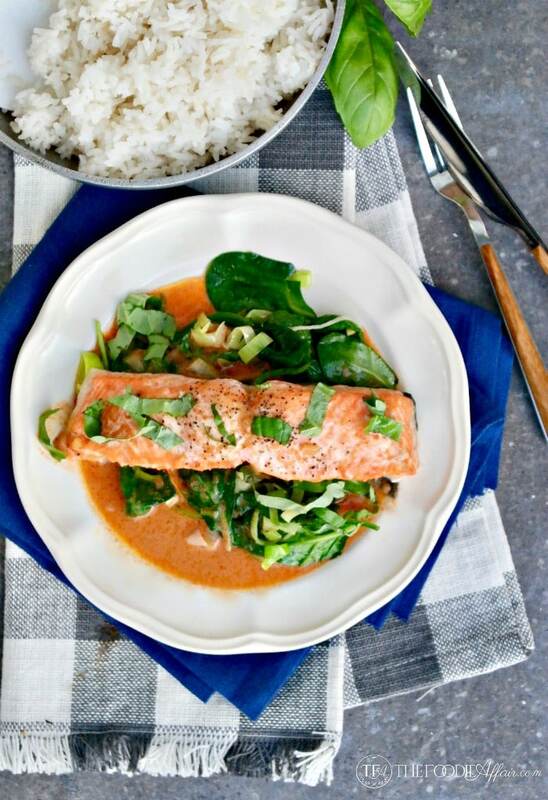 Loving this recipe and your salmon is perfectly cooked. It is seasonally odd at the moment with rain, dampness and cool and curry is just what you need. Keep the low carb recipes coming. We love it! Sharing of course. You’re the best! Thanks so much for your support. I sure wish we could share a meal together one day! This looks absolutely fabulous. What a perfectly light summer dinner! I’m putting on the list to make! I hope you enjoy this dish as much as we have, Kylee! This looks delicious! We are trying this with the salmon on the grill this weekend. I know it will be amazing!! That sauce sounds out of this world delicious! What a wonderful meal you’ve put together! I am always looking for new pairings with salmon. 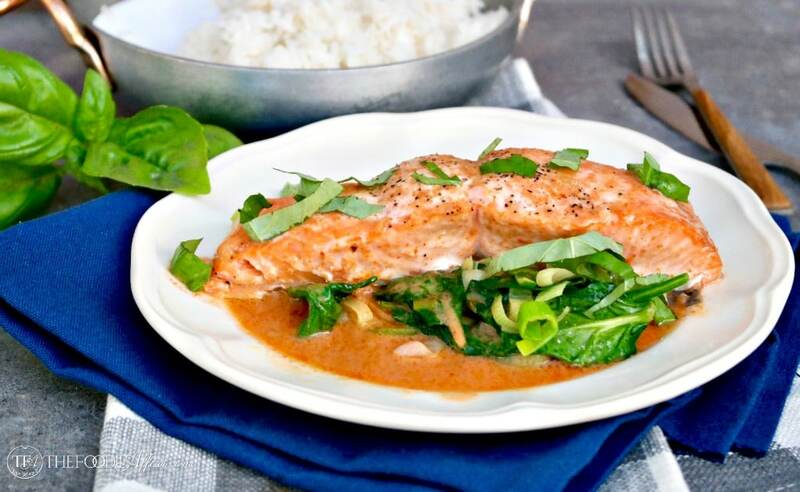 I totally love red curry and the fish will totally hold up to this bold flavor. Curry and salmon is just perfection together. What a great dish! Salmon is my favorite fish. I love your recipe. Meat looks so flavorful and so tender, juicy. I absolutely must make this for my family. They will love this. Thank you! It’s a delicious recipe for being so simple to make. Excellent recipe!! I made this for dinner guests the other night and the first thing they said, “delicious! Do we get to have the recipe?” It was wonderful. I did double the sauce and add sweet potato onion and yellow bell pepper for extra veg as they are not “low carb” eaters, but it would be excellent as written. Thanks for a great recipe. I will be making it over and over again! Yay! I’m always happy to hear when a recipe is guest approved! Thanks for sharing your results, Barbara!